The Vinetta Showcase is a 2 hour high impact pitch and panel series. 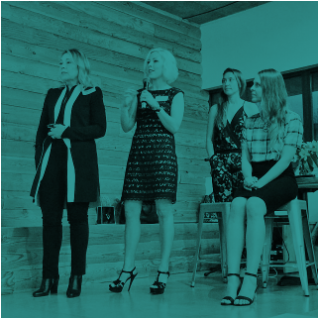 An esteemed panel consisting of two active investors and two founders of successful startups gather to judge the pitches of top female founders. The evening is a mix of high impact networking, panel discussions and pitches. The 4 pre-selected founders who present their startups receive critical feedback, targeted questions and actionable advice. Lisa Falzone is the CEO and co-founder of Revel Systems, the award-winning leader in iPad point-of-sale (POS) systems for restaurant, retail and grocery. Since starting the company from the ground up in 2010, Ms. Falzone has been an entrepreneur in the truest sense of the word. She leads the day-to-day business operations and spearheads new business growth, and has also been instrumental in securing more than $13M in venture capital funding to date and assisting in international expansion of the San Francisco-based startup. Lisa has been recognized as Forbes ’30 Under 30’ as well as San Francisco Business Times ’40 Under 40’ and ‘Most Influential Women in Bay Area Business. Lisa is a graduate from Stanford and also studied at Oxford. Prior to Revel she worked in private equity. 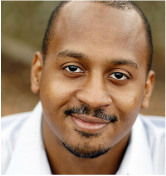 Wayne Sutton is a serial entrepreneur and general partner at BUILDUP.vc. Wayne experiences ranges from years establishing partnership with large brands to early stage startups. As a leading voice in diversity and inclusion in tech, Wayne shares his thoughts on impact and culture in various media outlets such as the WSJ and USA Today. In addition to advising early stage startups and diversity advocacy groups, Wayne is passionate about team building, founder coaching, culture, UI/UX and entrepreneurs who are passionate about using technology to change the world. Alison Johnston Rue is the CEO and cofounder of InstaEDU, an online tutoring company that makes it possible for student to get high-quality, one-on-one academic support the moment they need it. She has raised over $5M. InstaEDU was acquired by Chegg in 2014. 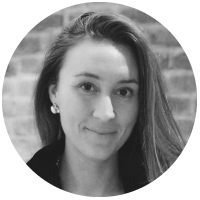 Previously, Alison worked for several awesome technology companies, including Box, Aardvark, Nextdoor and Google. She loves to travel and has a disturbingly large collection of hot sauces. Trish Costello is the founder and CEO of Portfolia, an inclusive on-line entrepreneurial investing community. Trish was named in The Ten Women in Tech to Watch in 2015 by Inc magazine and to The 100 Most Intriguing Entrepreneurs of 2014 by Goldman Sachs. Trish was co-founder/CEO Emeritus of Kauffman Fellows, the Silicon Valley-based institute that prepares leaders in venture capital. Fellows operate in 50 countries, deploying $188B in capital. Costello was Founding President of CVE Capital Corp, the holding company of a $1 billion Fund of Funds. Trish founded Kauffman Foundation’s Women’s Entrepreneurial Initiative. Trish leads the National Science Foundation SBIR Sub-Committee on Commercialization and is a board member of UPWARD, founded by Intel VC Lisa Lambert. She has held advisory and/or board positions with Springboard, the National Venture Capital Association, Helzberg Mentoring Program, the Small Business Administration and various start-ups, accelerators and university programs.